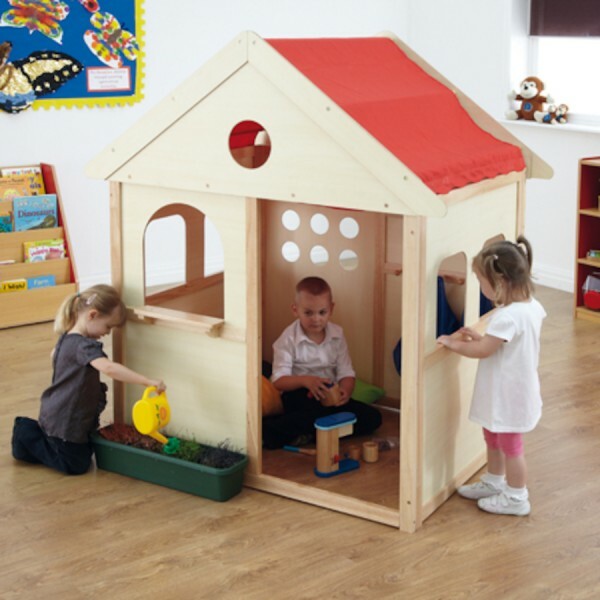 Indoor playhouse specifically to allow children to create their own role play scenarios and open ended play opportunities. Features open window with ledge/serving hatch, windows, nine hole grid for weaving and a coat rail with five pegs. Roof and door fabric is removable for machine washing at 40°C. Suitable for indoor use only. 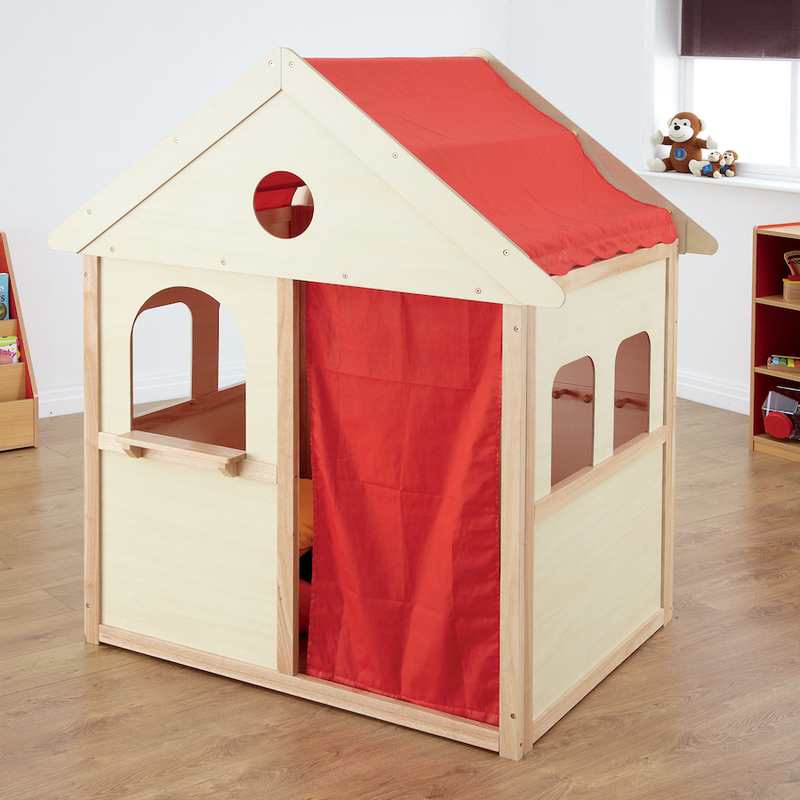 Weiterführende Links zu "Indoor Wooden Playhouse"
Weitere Info "Indoor Wooden Playhouse"
Kundenbewertungen für "Indoor Wooden Playhouse"